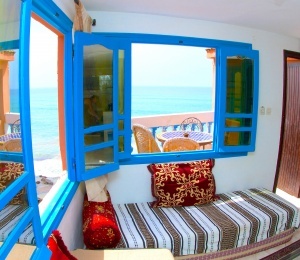 Surf Lodge Tamraght is an authentic Moroccan surf camp located in the quiet village of Tamraght. 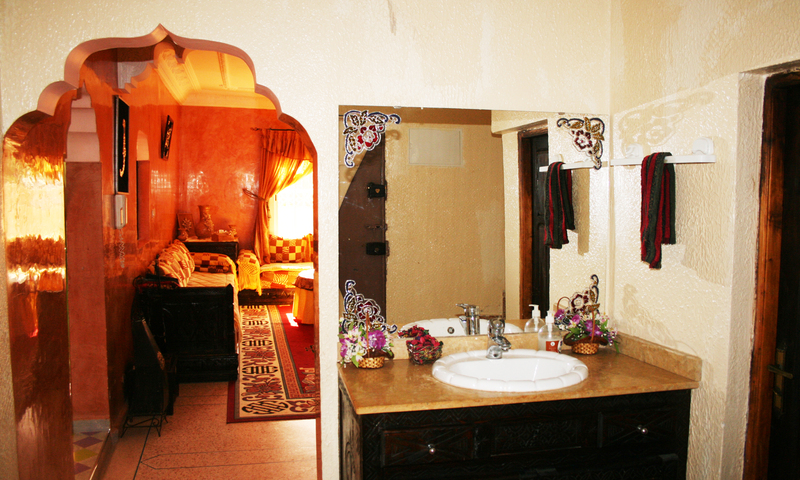 We have a traditional, yet spacious, Berber style Moroccan house with four floors. 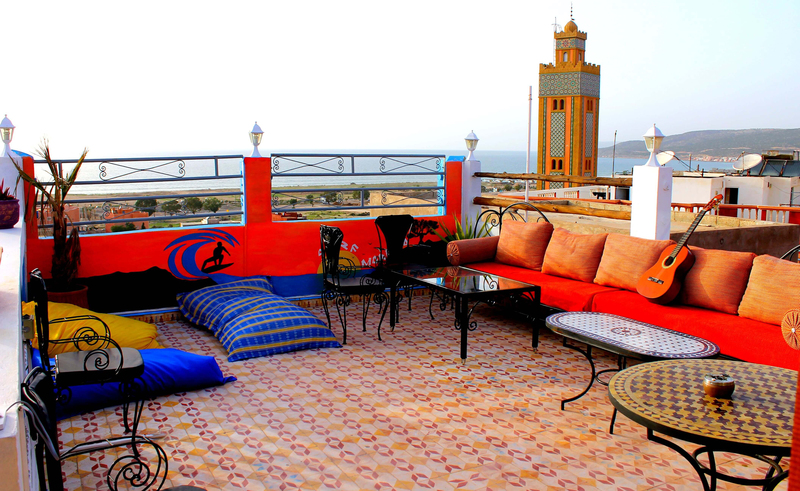 In addition we have a large roof terrace with amazing ocean views to watch sunrise and sunset with friends! 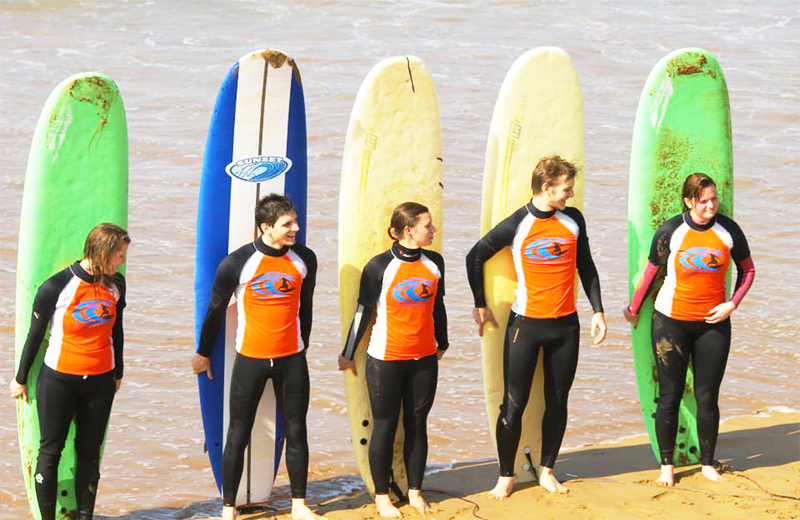 This is one of the best surf camps for surf holidays in Morocco! 6 yoga sessions per week (1 hour per session). A second yoga session is available for additional cost. Tamraght is an old fishing village that is being transformed into a surf destination for many Europeans. Tamraght is all about food, surf and spending time at the beach these days. 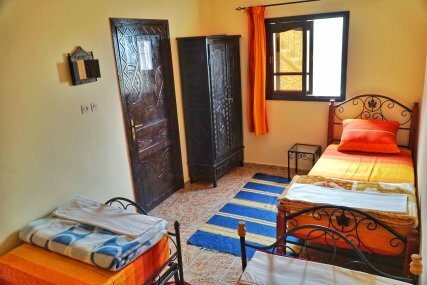 The Surf Lodge Tamraght is ideally located in Tamraght village, 15 kms north of Agadir city and 2 km south of Taghazout village. From our terrace we can see the most surf spots in the area. 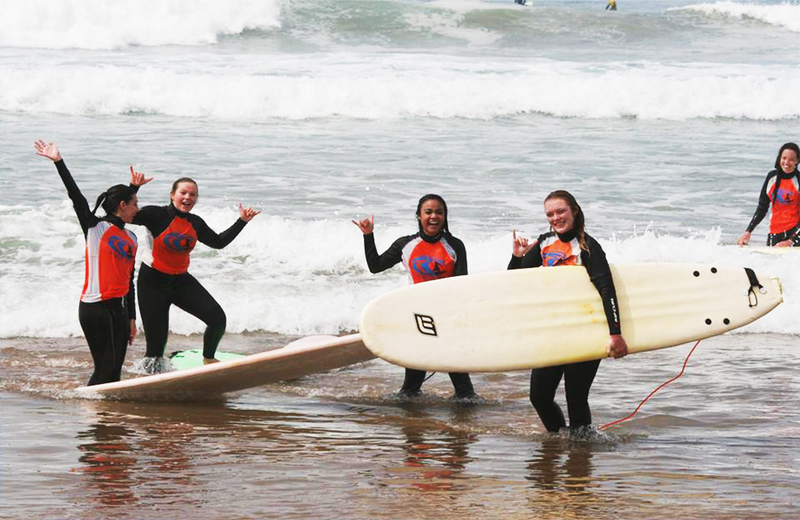 Tamraght is known with all year warm and sunny weather and good quality waves in winter and perfect surf conditions for beginners in summer. 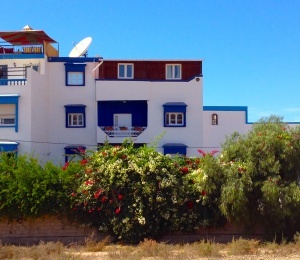 The surf lodge is set on a 4 storeys house that offers simple but very comfortable accommodation with a big variety of rooms, including double rooms, single rooms, twin rooms and triple rooms. 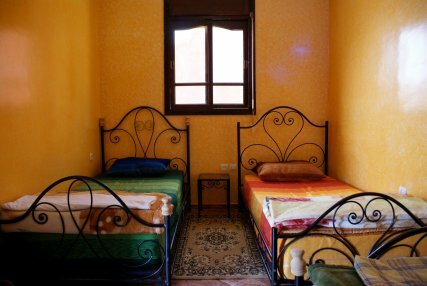 All rooms are based on sharing toilets and shower facilities. 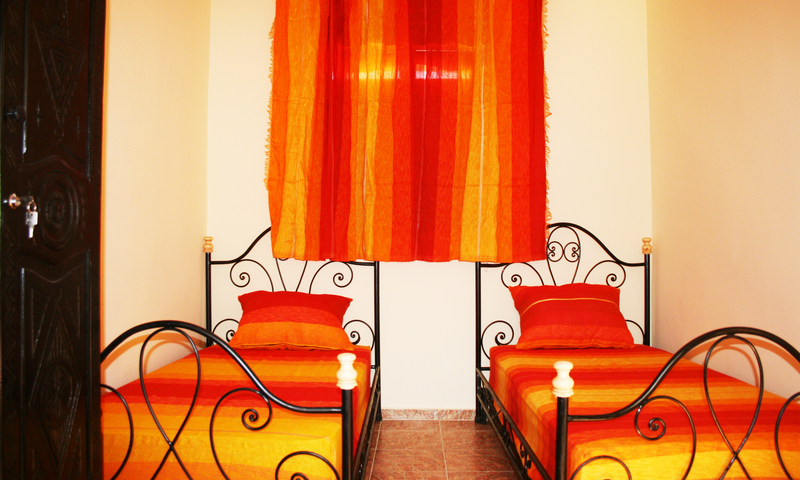 The surf camp displays 2 large common areas for relaxing after a day surfing or watching some surf movies. 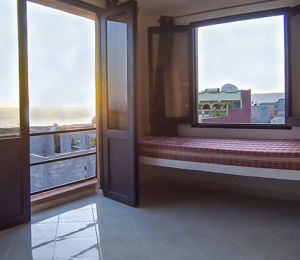 There is also a roof terrace with amazing sea view chilling out and drinking the typical mint tea. This is actually the surf camp's preferred place where we spend most of the time eating, socialising and soaking up the sun along watching Tamraght Bay. During the day or at night, this is an awesome place for you to relax. 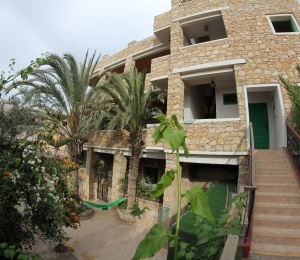 Surf Lodge Tamraght is located on the quiet Moroccan village of Tamraght right in front of the popular surf spot Devil’s Rock, and just a short walk away from the beach. 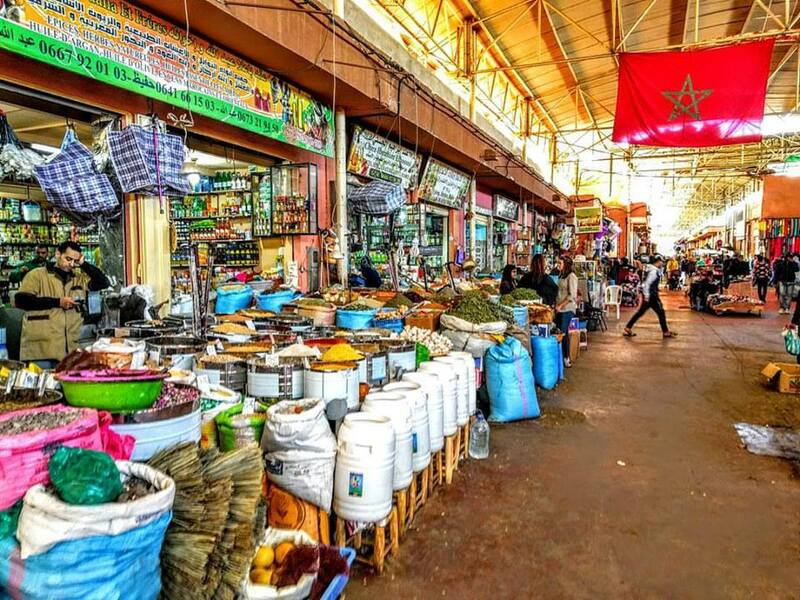 Tamraght is located between Taghazout and Agadir, just a quick drive from both. 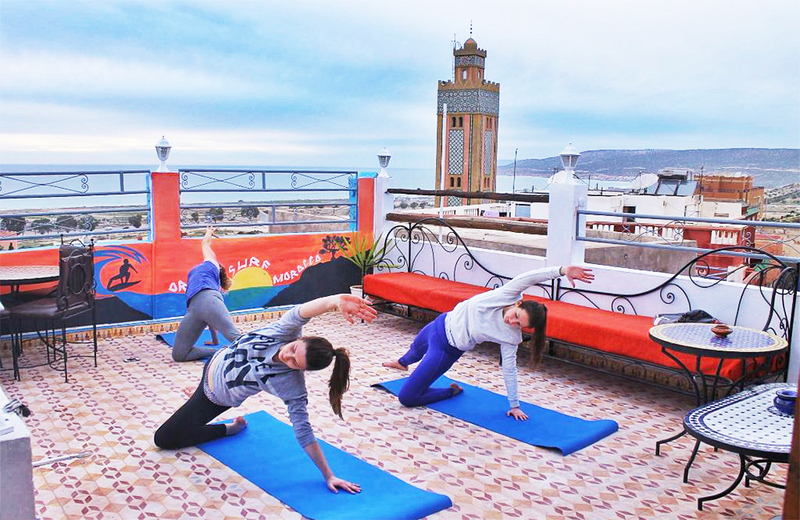 Our surf camp organises yoga sessions every morning before breakfast on the terrace. 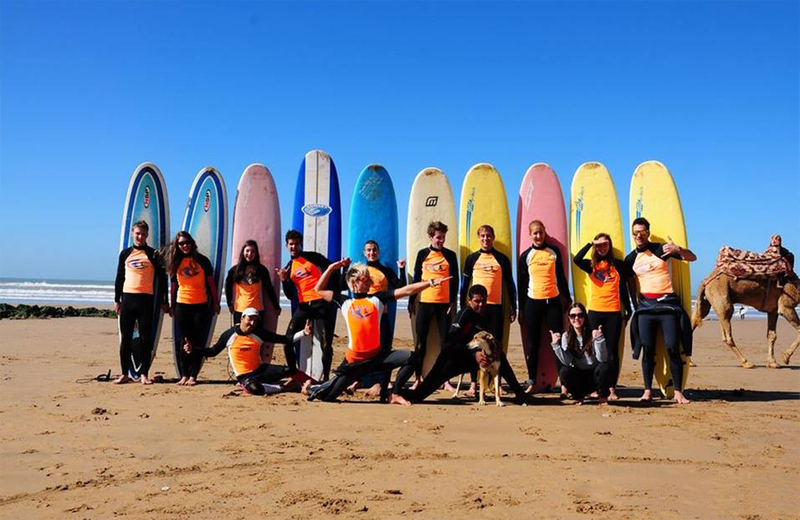 Combining surf and yoga is not only trendy but its very good for those who want to enhance their surf skills since its all about balancing, stretching and so on. Now imagine this: starting your day listening to the sound of waves at sunrise, then grab some breakfast and head to the beach. We can also hold yoga classes at sunset to help you out with stretching after surfing while dinner is being prepared for you. Could it be better? Tamraght area is a perfect winter destination for surfers and non surfers with great weather all year round, especially those surfers coming from Europe. In fact the peak surf season starts from October to March when Europe is freezing cold, Morocco is still offering warm days. 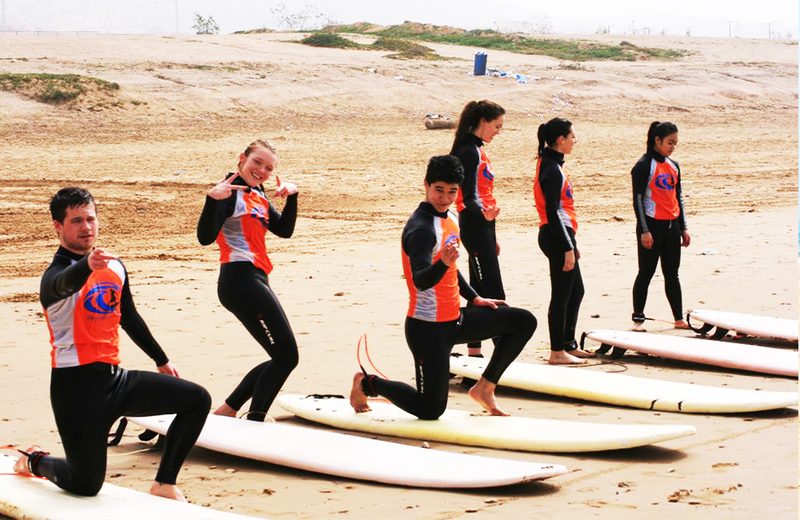 Morocco's waves are chosen by many professional surfers to train and prepare for championship. 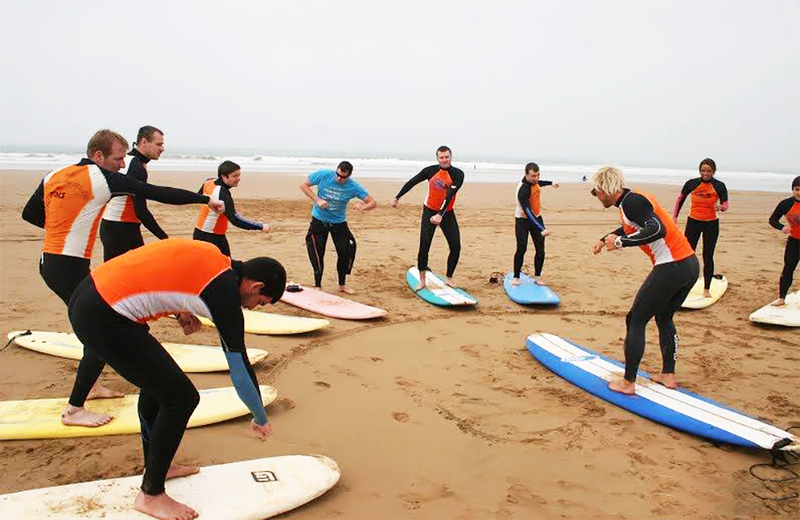 In fact we often receive many professional teams and its crews for long periods charging on the Moroccan surf spots. PANORAMAS - Beach and point break just 5 minutes driving north. 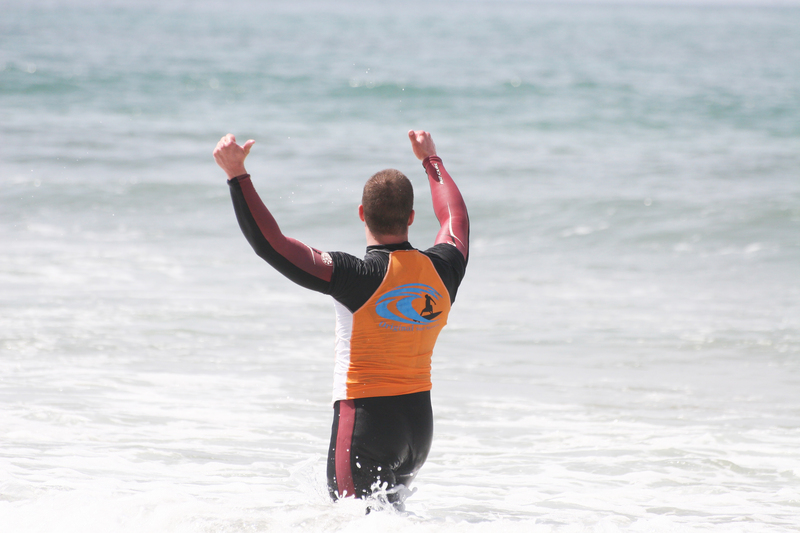 Ideal for perfect for beginners and intermediates looking for a easy wave. DEVIL'S ROCK - 5 minutes walk. Though it has a gnarly name, this is a great beach break for beginners with lefts and rights. HASH POINT - 10 minutes driving north in the centre of Taghazout. Right-hander working at its best with a medium to large west swells. MYSTERIES - 20 minutes driving north, beach break perfect for all levels. ANCHOR POINT - 15 minutes driving north. 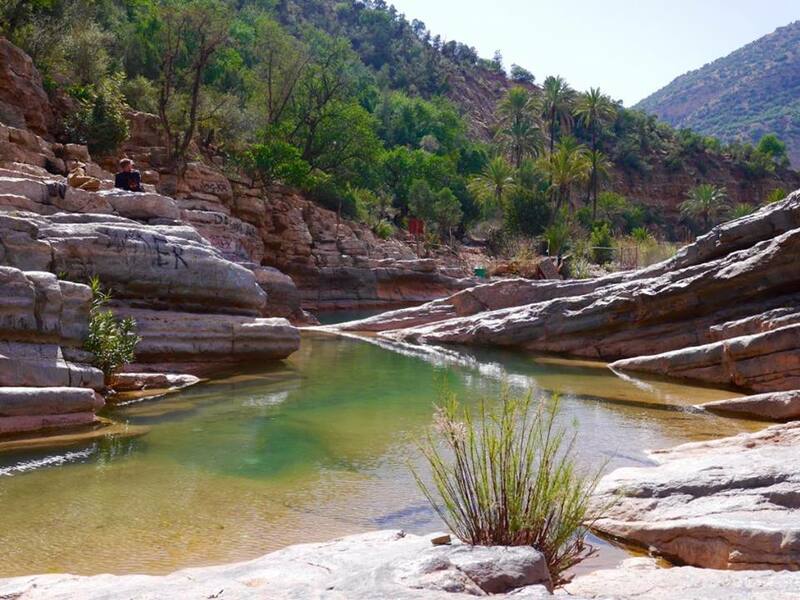 This is the most popular and famous Moroccan point break. This place is sheltered from large swells and strong north winds. On stormy days it's probably the only one working. LA SOURCE - 25 minutes driving north. Perfect right hander for all levels with small reef sections. SURFINN © 20-04-2019 13:11:10. ALL RIGHTS RESERVED.